I don’t know what it is, but I’m a bit of a product junkie. I’m sadly guilty of covering the bathroom sink with cosmetics like most women, because I love trying new things. I used to use Procativ back in the day, but I eventually cancelled my subscription, because I was bored with using the same three step regimen. Men are a lot more comfortable with experimenting with fashion today so it makes to sense to step up our grooming game. Using a face mask has become one of my favorite ways to relax. While most guys are out partying on the weekends, I’m usually kicking back with a good book and my favorite mask. 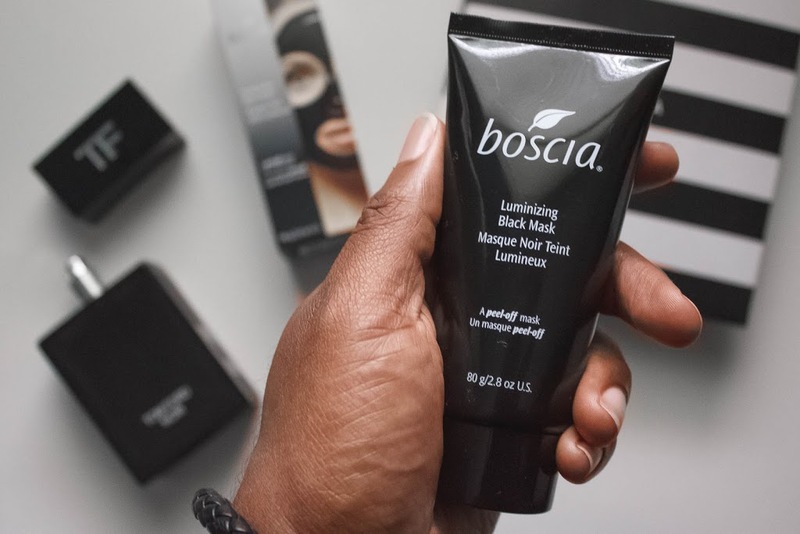 Currently, My favorite mask is Boscia’s Luminizing Black Mask. Most masks rinse off, but this mask hardens and then peels off, which makes me feel like Christian Bale in the opening scene of American Psycho. I don’t have too much trouble with acne, but I’m constantly dealing with blackheads. Blackheads form in the opening of our pores when oil and dead skin cells buildup. The Luminizing Black Mask is great, because it combines the power of charcoal and peel-off masks to clear our pores by pulling off a layer of dead skin cells. Most masks are marketed towards women, but men should definitely start using them. Most guys don’t wear makeup, so developing a skin regimen is the key to a clear complexion. All of our skin is different, so some of us can get away with only using soap. The rest of us have to add in extra steps like masks to achieve clear skin. How do you guys feel about men wearing masks?